Not much can be said ... we desperately need snow! 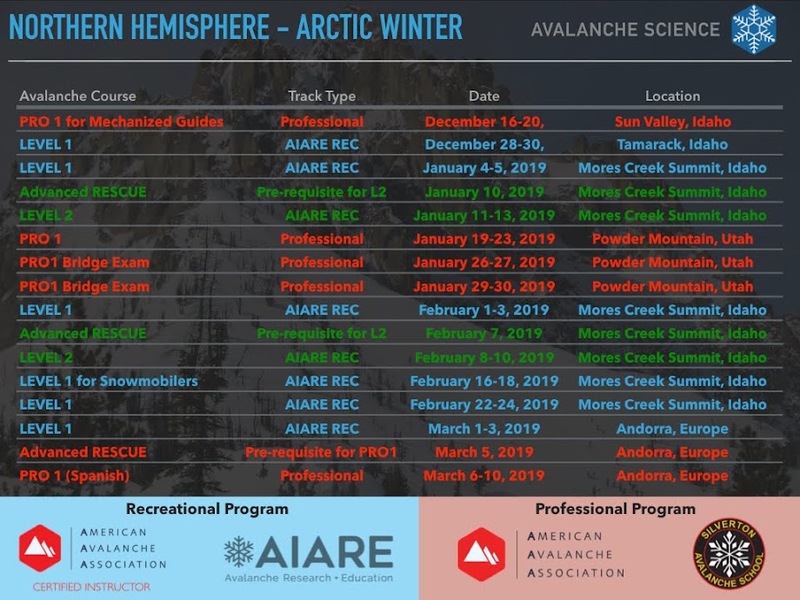 Two weeks of no precipitation in an already thin snowpack as well as diurnal temperatures exceeding the zero degree temps have resulted in highly variable snow surface conditions. Yesterday at Freeman peak we found dense and creamy facet skiing at shaded slopes, and the skiing was not too bad at all. But meters away a minefield of breakable crust was ready to remind you about the temperate temps in the mountains during the last 10 days. I was surprised about the high level of optimism ... skiers and snowmobiles were out in force to enjoy Mores Creek Summit recreation area this past Saturday. I do not track or compare multi year snow conditions too often ... but I cannot remember such a poor snowpack in the 22 years I have been skiing at Mores Creek Summit. The next snotel chart for Mores Creek Summit snotel is not encouraging. The chart suggest that MCS has an approximate deficit of 5 inches of SWE (snow water equivalent), or if we assume snow densities of 10 % (pow conditions) we are missing 50 inches of snow! I do not recall a January where I could see so much dirt at the south aspect of Pilot Peak, or that I had to take my skis off to go over rocks when skinning up Freeman Peak along its East ridge. 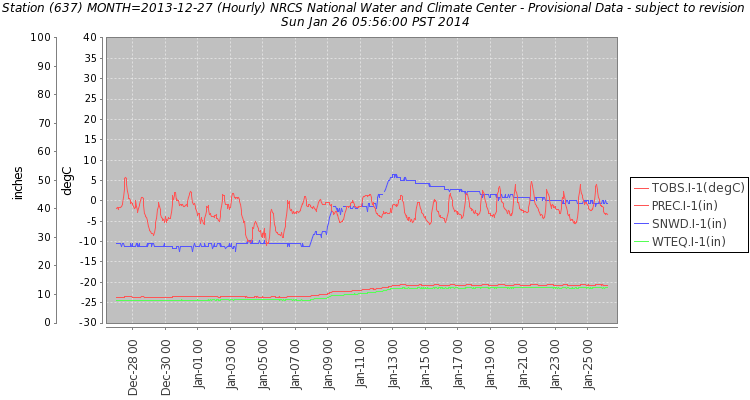 Between the road and 6600 feet the snowpack at N and NE aspects have a depth of 80-90 cms. 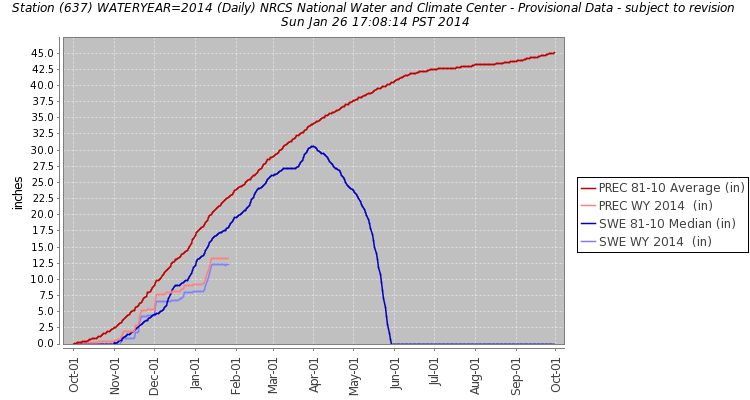 At 6800-7000 feet the snowpack supasess the 1 meter depth at N and E aspects. The next pictures illustrate the poor coverage conditions. Lower Freeman Ridge looking into lower Pilot Peak. Last weekend I skied at Baker Mountain- Washington for the first time. It has been in my list of places to explore for too long! The backcountry skiing opportunities are limitless! I was quite impressed and will be back late in March to further explore this area. Days have passed since January 16th, warm temps have affected the snow surface and no snow refresh to cover old tracks - but I did not want to face reality. I got myself busy with university work. But I knew I had to visit the backcountry to conduct a snow temperature conductivity experiment for Miguel, a BSU Hydrology PhD student. So yesterday, I spent several hours playing with IR and high speed thermocouple temperature instruments. I have to admit that I was happy to see stashes of soft snow during my climb, but the thinly covered slopes got me very worried. It is the end of January, and it feels more like the end of March minus 1.5 meter of snow. Not good! Check the next video clip. Clearly, the basal weak layer continue to be reactive to propagation. No surprises here ... this propagation saw test was conducted at 6500 feet in a Northeast aspect slope with 28 degrees in steepness. The buried layer of facets at the 50-60 cm depth continues to have the potential to propagate fractures. The score for this test is codified as PST25/100(End)Q1-60 cm down. The same test score was reproduced when the test was repeated at the 50 cm interface. By the way, my ski touring partner initiated a whumpf earlier in the day. Compression tests results suggest that the 50-60 cm weak layers are not easy to trigger. It should be noted that the structure of the current snowpack does not seem to favor ECT testing, where a combination of weak layer depth and thick slab favors the collapse of the isolated column where not all isolated columns result in fracture propagation. This issue with ECT testing is denoted as a false stable, since it can be mis-interpreted as results where no evidence of instability was found. For this season basal facet instability problem I have been often relying in the PST test methodology. No weak layers were identified above the 50 cm depth. The above pictures shows interface at 22 and 30 cms. The 22 and 30 cms interfaces were unreactive to compression tests, and weak layers (facets) were not present at the elevations we studied the snowpack. It is understandable how excruciating it is to deal with the existing instability problem. We have a regional snowpack, from Eastern Oregon to central Idaho with a highly variable buried weak structure. This weak structure continues to produce evidence of its capability to propagate fractures. The depth for this weak layer of facets varies from 50 up to 80 cms., suggesting that if an avalanche is triggered it will involve significant amounts of snow, where terrain traps can make rescue challenging due to burial depth. And it does not helps that the weather has been tranquil with mild temps resulting in ~10 cms of snowpack settling (settling is NOT whumpfing - settling is the process of where the snowpack densifies as air porosity is decreased in the snowpack) . The current conditions can easily be confused with periods where avalanches are not possible. And that is NOT the case! We are dealing with a case of HIGH uncertainty. The weak layer distribution is highly variable, as well as the avalanche trigger likelihood. Slopes above 35 degrees should be treated with suspicion, particularly if the snow depth is variable making easier to find shallower spots that will make it easier to trigger an avalanche. Even careful evaluation of moderately sized slope cannot guarantee that a basal weak layer will not be triggered. There is just too much to variability in the snowpack structure! For Mores Creek Summit (MCS), the snowpack seems to be fairly uniform in depth, reducing the probability of shallow spots that will make it easier to trigger avalanches. But I observed yesterday some specific locations with signs of wind transported snow at ridgetops above the 7000 feet. Be mindful of wind effects at specific locations not only at MCS, but at any alpine or sub-alpine terrain in our region. Wind effects results in a double whammy situation where the slab is stiffened, and the distance between YOU and the weak layer can be reduced, making easier to trigger a slab with weak layers close to the ground!